OP Chocolate can supply products under its own brands or private label. The Caxton brand is an established and respected name within the UK and a guarantee of quality. 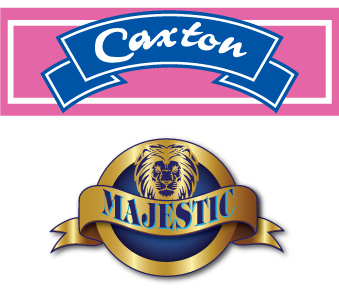 One of the products under the Caxton brand is the established Pink ‘n’ White product. OP Chocolate strives to excel in all aspects of its operation. Our goal is to be recognised as the finest quality manufacturer of wafer products to fully satisfy our customers all over the world. To do this, we provide a working environment that encourages the growth and development of a committed, stable workforce and investments in new plant and machinery. The company exports to more than 15 countries and its success has been built on understanding customers’ needs, providing competitive pricing and finally great quality products. Without our customers, our business would not exist, so our aim is not just satisfy those customers, but also to delight them. The company and its employees constantly strive for continuous quality improvement in its products and its service. Procedures for all key tasks in the company form the basis of a documented quality management system, but this in itself does not achieve results – It takes people who care about the products they make, and the services they provide to make it work. Full BRC accreditation at the highest level. Click here to download certificate.